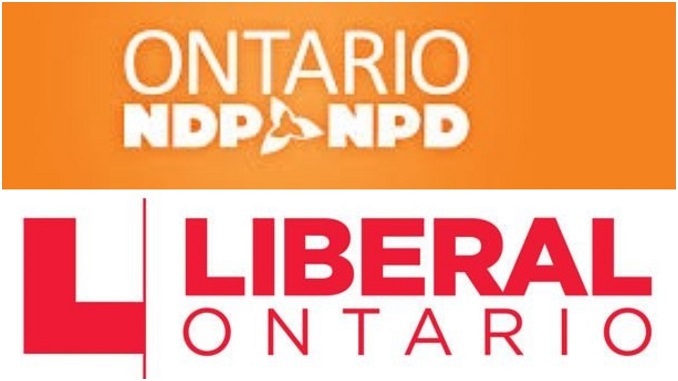 HomeOntario PoliticsIs an NDP-Liberal coalition coming this election? Is an NDP-Liberal coalition coming this election? June 2, 2018 Brian Lilley Ontario Politics Comments Off on Is an NDP-Liberal coalition coming this election? Andrea Horwath recently ruled out a coalition with Kathleen Wynne and the Liberals but then this week, opened the door to a deal. “I’m going to wait until Thursday of next week and I’ll go from there,” Horwath said in an interview with CBC Radio in Ottawa. Told that her answer didn’t sound like a no, Horwath went on to say she will work with anyone that backs he ideas of lowering hydro costs, providing free prescriptions and dental care for all. 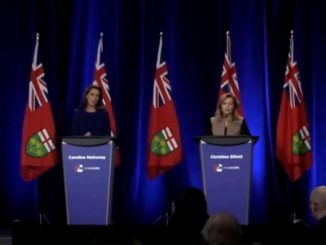 “I guess the question would be if we get there on June 8th, and that’s a decision that has to be made, the question would be would Kathleen Wynne be willing to work with me,” Horwath added. That again is not a no. Wynne remains open to a coalition. Wynne also hinted at the possibility of a coalition with the NDP during her meeting with the editorial board of The Hamilton Spectator. “I think there are many ways that parties can relate depending on the configuration,” Wynne said during a meeting with The Spectator’s editorial board on Friday. Wynne refused to discuss “specifics around mechanics” but made it clear she has a greater “affinity to the value system” of Andrea Horwath’s NDP than Doug Ford’s Progressive Conservatives. It is also what Kathleen Wynne hinted at when she made her dramatic announcement on Saturday morning. She doesn’t want to give up power just yet and is hoping that if she can salvage enough Liberals seats that she can hold the balance of power. I’ve watched minority governments that have worked, this would not be one of them. Horwath, who a day earlier, had left open the door to a coalition with Wynne slammed the Liberal leader for in her words, giving up the fight against Doug Ford’s cuts. 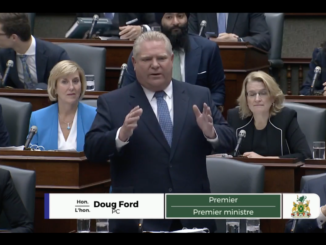 “And her request today for a minority government is a demand that she be allowed to continue to hold the power at Queen’s Park – something voters have already rejected,” Horwath tweeted. 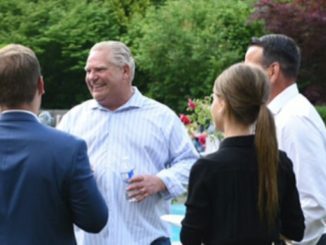 Voters have already rejected Wynne and Horwath should too. The NDP should make it clear that they will not join with the Liberals in any pact, formal or informal, after the election. But I am guessing they won’t do that. Momentum for the NDP has stalled and the PCs have pulled ahead in several polls. There is also the “efficiency” of each party’s votes. The race is still tight but I get the sense the NDP knows that if they are going to form government they will need Wynne and the Liberals. Which means Horwath can’t reject the party that voters already have. She needs to keep them close. Watch for deals in the future.